Like many, I arrived at the history of science via the sciences. Because of my background, I am still learning how to approach science critically: not in a scientific sense, in which one challenges the assumptions or methods of fellow scientists on scientific grounds, but in a historical and humanistic sense, in which the foundations of science itself may be challenged. That Shapin and Schaffer (hereafter referred to as SS&SS) do this so well with regard to experimentation is one of the values of the book. However, SS&SS do not seek to undermine the scientific endeavor, as the (strawman?) post-modernists are wont to do; instead, their approach is one that treats science critically and respectfully. (I think this approach, perhaps now commonplace, is useful, valuable, and gels with what I seek to do as a historian.) 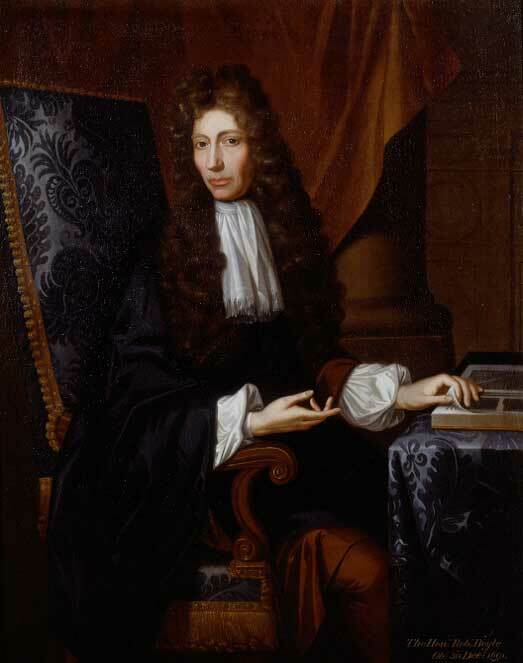 Specifically, they charge that historians had “start[ed] with the assumption that they (and modern scientists) share a culture with Robert Boyle, and treat their subject accordingly.” This culture is one in which the value of experiment as a form of legitimate knowledge-generation is self-evident and taken for granted. That is to say: duh, experiments are how one learns about the world! How could it be any other way? Thus, an integral part of modern science has (at the time of publication) remained largely unexamined. Playing the stranger is therefore a difficult business; yet this is precisely what we need to do with respect of the culture of experiment. We need to play the stranger, not to be the stranger. A genuine stranger is simply ignorant. We wish to adopt a calculated and an informed suspension of our taken-for-granted perceptions of experimental practice and its products. By playing the stranger we hope to move away from self-evidence. We want to approach “our” culture of experiment as Alfred Schutz suggests a stranger approaches an alien society, “not [as] a shelter but [as] a field of adventure, not a matter of course but a questionable topic of investigation, not an instrument for disentangling problematic situations but a problematic situation itself and one hard to mater.” … The stranger is in a position to know that there are alternatives to those beliefs and practices. The controversy that SS&SS explore turns out to be a foundational debate in the history of science: one between Robert Boyle, the “father of modern chemistry,” and Thomas Hobbes – their pretend-stranger -, known as the philosopher and author of Leviathan, regarding the legitimacy of experiment as a reliable form of generating knowledge (as opposed to reason, logic, and the syllogism) and specifically (but which I will not discuss), that air has spring (something akin to “air pressure”). Importantly, SS&SS show that, to Boyle, experiment was not a practice independent of context: it required a social community to legitimate the practice and to establish its rules. The community needed to be composed of men (*cough*) of known moral character who could “witness” the experiments performed and give their assent to the result (in this case, that air is springy). To spread the experimentally-discovered “matter of fact” beyond its immediate physical confines, a short essay had to be composed that documented every detail that occurred during the experimental process: circumstances, failures, misdirections, and obviously, successes. This writing, what SS&SS call Boyle’s “literary technology,”* allowed others, such as Christiaan Huygens in Holland, to “virtually witness” (SS&SS’ term) the experiment, in hopes that they would take the most important action of all: replication. ** Any ensuing differences were to be debated in a public and civil manner (but the “matter of fact” and the experimental approach itself would remain unquestioned). SS&SS emphasize that this was because Boyle, working during the English Civil War, was concerned with establishing order in society; uncivil fighting would sow only discord. The community he helped establish, a “social technology” called the Royal Society, would be a model upon which England could reconstruct itself. Through method, ethics, and community, Boyle structured the experimental program in a specific way for desired ends. The first edition’s book cover, which depicts Hobbes’ Leviathan, a giant crowned sovereign composed of the kingdom’s citizenry (representing the social contract) holding a sword and air-pump. That is, the practices Boyle constructed are now so routine that we take them for granted. However, something key to the history of science (and history, generally), is that things that are self-evident today were not so at the time of their formation and generation. This includes experiment. What SS&SS exploit is Boyle’s debates with his contemporaries, particularly Thomas Hobbes. Hobbes thought the solution to problems of disorder was to give all power, civil and religious, to an absolutist sovereign. This entailed a distrust of independent religious sects and any group that granted itself independent authority, which included the Royal Society. Contra Boyle, Hobbes argued that the Royal Society, independent of the sovereign, could create only chaos. This was especially so because experiments and their results, the “matters of fact,” were socially produced. 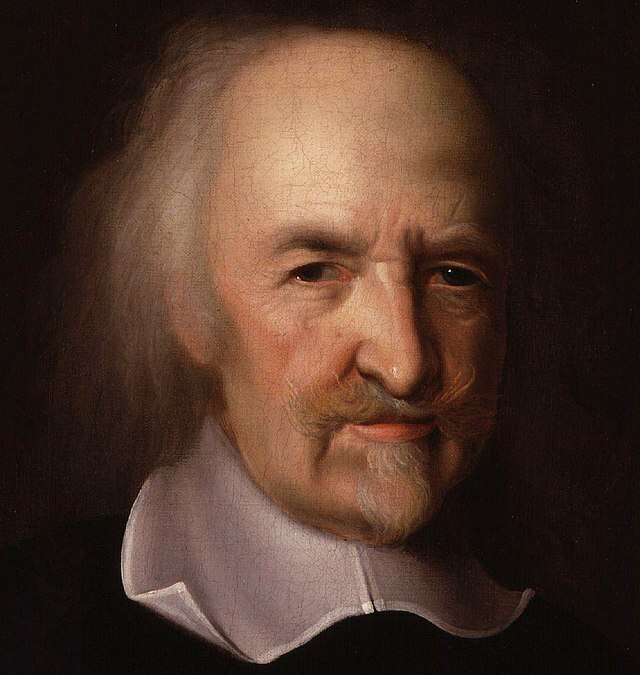 He criticized the Royal Society and its claims that experiments should be public, for it was actually an exclusive organization – Hobbes was kept out, for example, as well as the average citizen. SS&SS show, through this controversy, that when experimentation was founded as the (or a) basis for modern science, it was not obvious that it should be so; there was an alternative mode of thought which allows one to see through the “objective” and taken-for-granted claims of the experimentalists. Of course, as history showed, Hobbes was “wrong” and Boyle was “right.” Hobbes was written out of history as a natural philosopher and Boyle would be given the title of “father of modern chemistry” (as problematic as it is!). However, as SS&SS conclude, science as an institution is a social and political phenomenon. This doesn’t delegitimize science, but it does make us pay attention to how science as we perceive it today is embedded in social/political contexts and that these are essential to how knowledge is produced. After all, it is frequently pointed out that an article that does not undergo “peer review,” a social process, or publication in an established journal, another social process, should not be considered valid knowledge (frequently visible in the intelligent design controversy). While science has since become “routinized” and “naturalized,” when one approaches the endeavor as a “pretend stranger,” one finds that its taken-for-granted foundations were once controversial and debatable. Because of this, they are open for questioning – after all, there was apparently once an alternative. **** Such exposures are a value of the history of science. *As SS&SS, readers may find the notion of “literary technologies” – defined as not the material processes of writing, such as paper and press, but as style and content of composition – strange, but “by using technology to refer to literary and social practices, as well as to machines, we wish to stress that all three are knowledge-producing tools” (fn. 4, p. 25). However, Boyle would not have thought of these writings and organizations as “technologies.” Also, SS&SS spend much of the book discussing the state of chemistry at the time and the construction of the air-pump itself; however, as a historian of biology (evolution and genetics), I did not pay close attention to these passages. What I wanted from this book was what I emphasize in this post: their methods and their conclusions regarding science as a social/political process. ** I cannot recall now, but I wonder if Boyle was influenced by the writing styles of William Harvey and Vesalius? *** Exacerbating the tensions, Boyle, himself a devout figure, teamed up with the Anglican Church, which made Hobbes’ worries even worse. *** Not that I think peer review or journals need questioning, but recently, there does seem to be a growing concern regarding the quality and nature of both institutions. Are those who cheat the peer review system not violating Boyle’s rule that witnesses should be those of high moral standing?